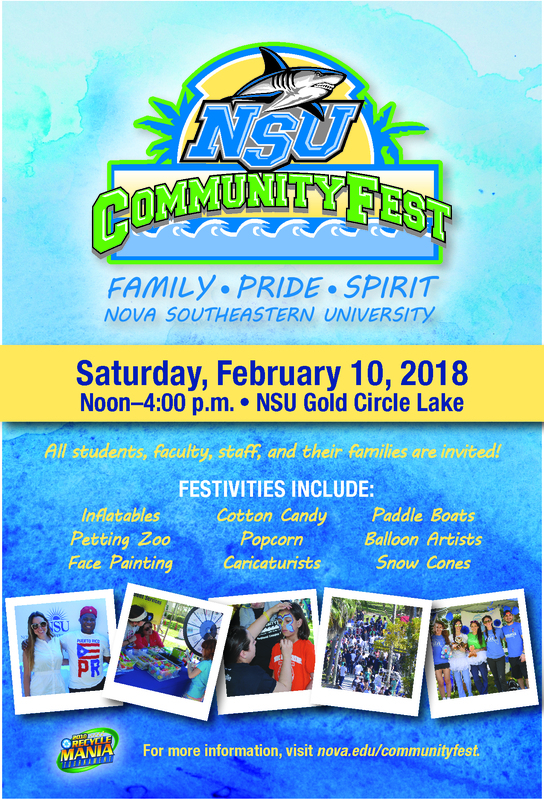 NSU Community Fest is an annual festival that celebrates and connects NSU students, employees, and their families in a carnival-like atmosphere around the Gold Circle Lake. 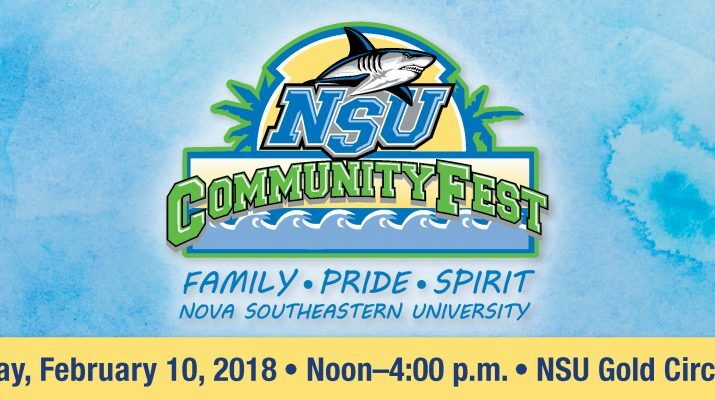 The event was initiated and developed in 2003 by Michelle Manley, an NSU student who wanted to bring the university community together and build school spirit. 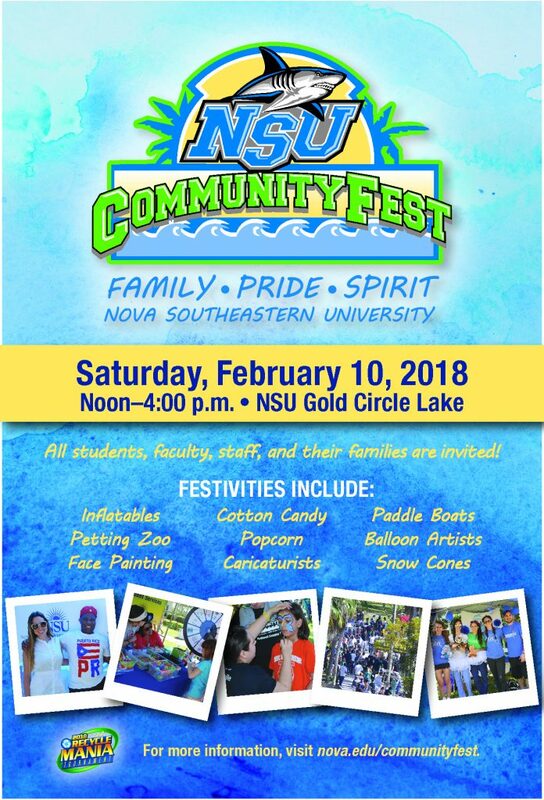 While this is a student initiated event, NSU Community Fest is also an event that involves the collaboration of NSU staff and students, as well as community businesses and organizations. For more information on how you can get involved, we encourage you to check out the information below. With an average of 4500+ participants each year, we invite YOU to be one of thousands to share in the tradition this year!